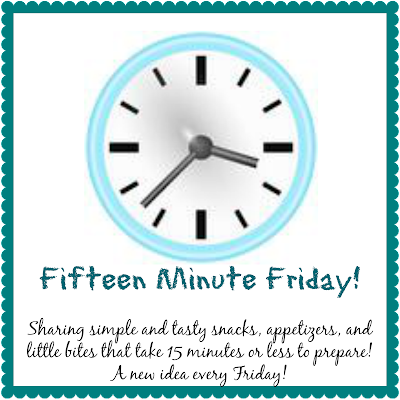 This #15 Minute Friday, Fall Trail Mix is so easy it's ridiculous, and so crazy good, you will want to make it again and again! 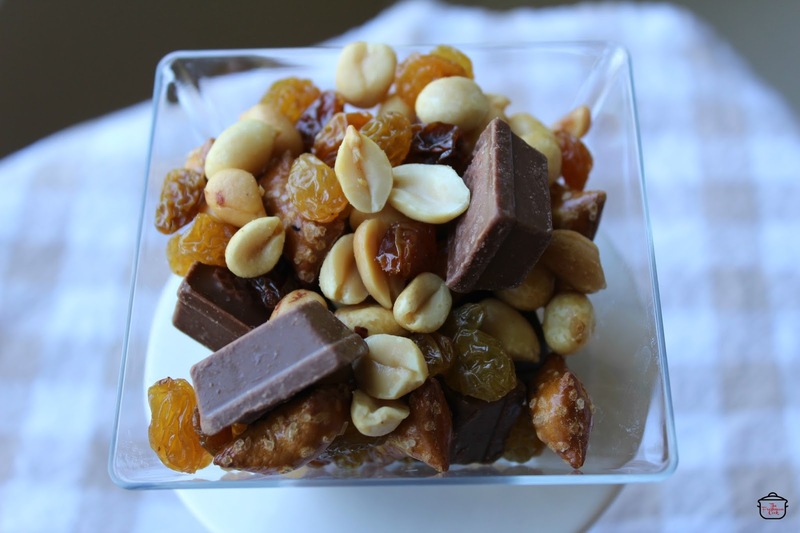 There are only 4 ingredients and all of them are easy to find! I think this is also a great party mix. 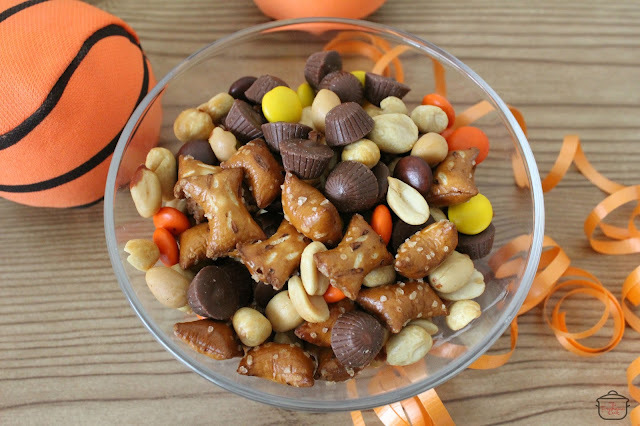 I can see myself serving this during some football parties this fall! 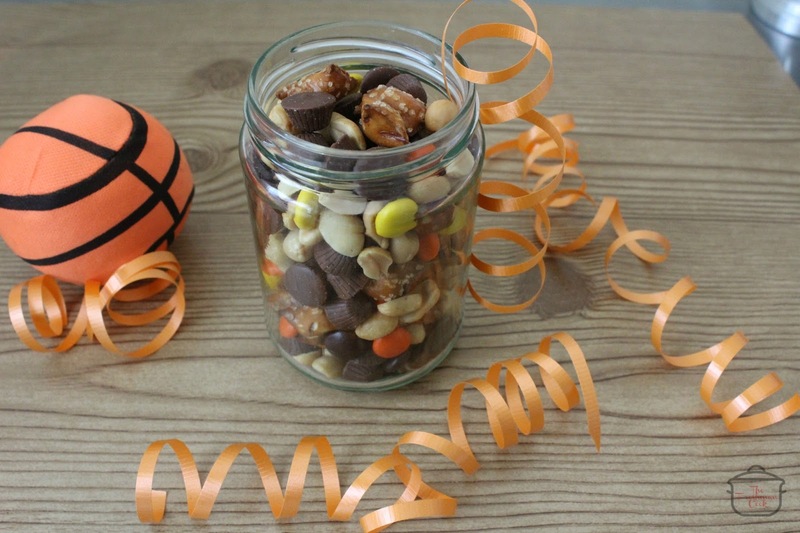 There is a story that goes with this Chocolate Peanut Butter Pretzel Game Mix. 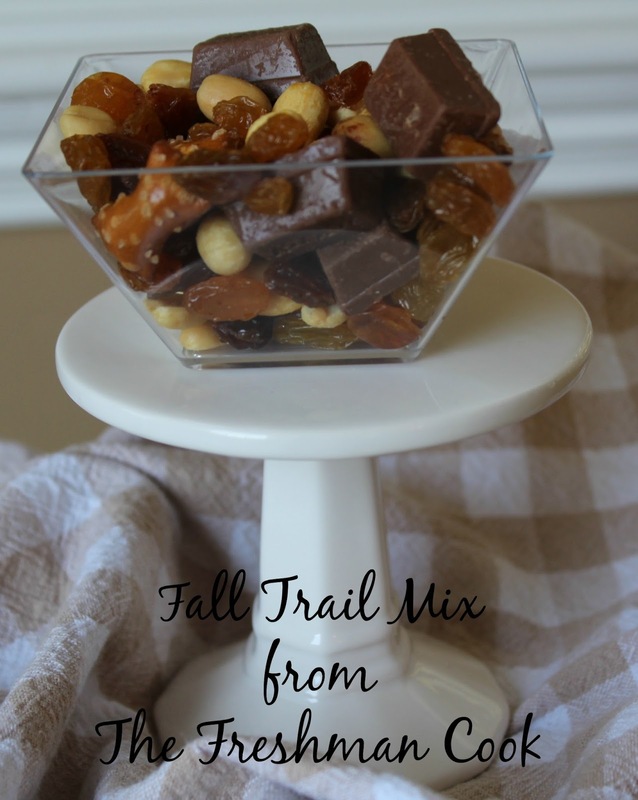 You have probably seen this mix in the store in the candy aisle of the supermarket. When I first saw this I was intrigued...and hungry! 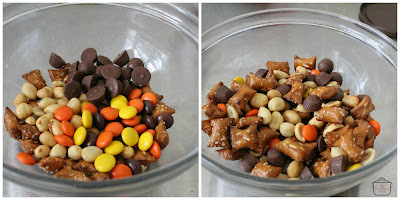 I love all the ingredients in the mix: mini peanut butter cups, peanuts, reeses pieces, and mini pretzels. I thought this mix would be perfect for a party, watching a movie, or my favorite, watching the NCAA Championship games! But the price was rather high! 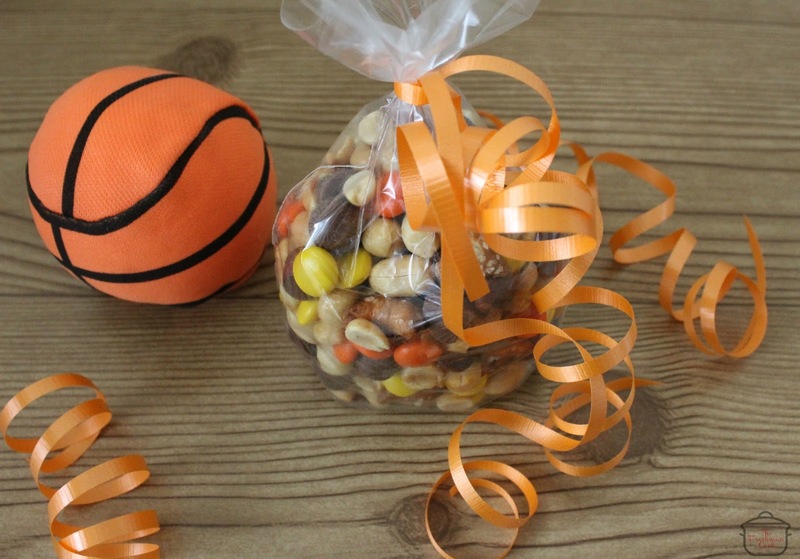 It was alright for a one time treat, but to serve to a bunch of crazy hungry basketball fans? No. 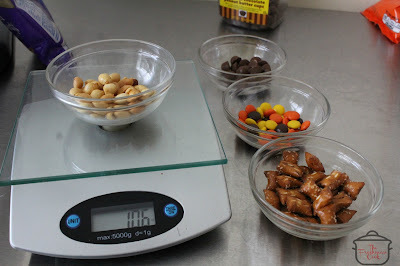 So I sourced the four ingredients, getting as close to the real thing as I could, and made my own Chocolate Peanut Butter Pretzel Game Mix! While this is hardly a recipe, the pieces and the peanuts are very easy to find. The mini chocolate peanut butter cups and the mini pretzels were more of a challenge. I found the pretzels packaged under the store brand. 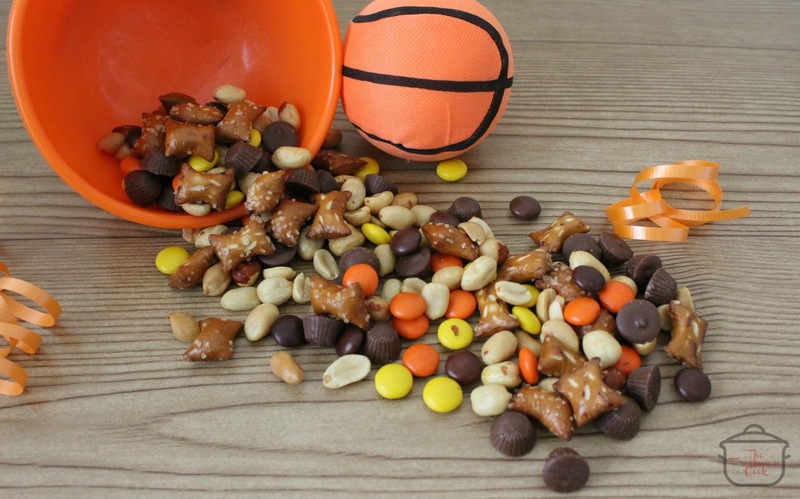 The mini pretzel pillows I bought have peanut butter in the middle. They are the right size and price and they work great in the mix. 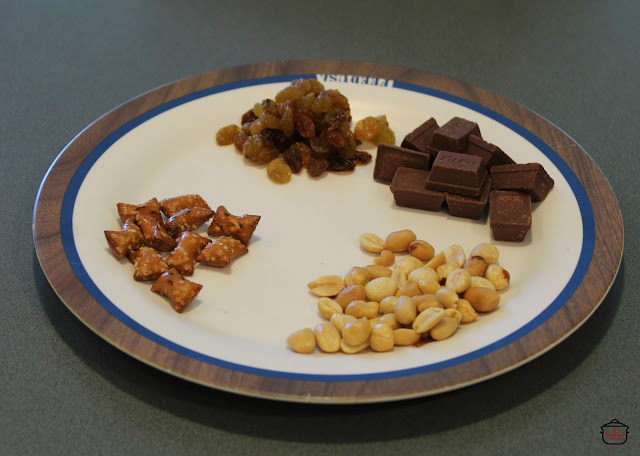 The mini chocolate peanut butter cups were difficult. There is a mini version on the market, but they are too large. I finally found them on a trip to Trader Joes. They are smaller than any others I had found, and they taste amazing! So, I am excited about the mix, and very happy about the price! The package at the grocery cost $3.99 for 6.8 ounces, making it .59¢ an ounce. I made it for .22¢ an ounce. Less than half the price! I mixed equal amounts of each ingredient in a bowl. 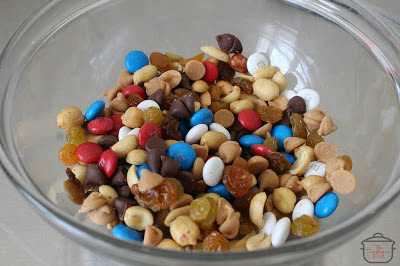 Another good thing about making the mix yourself is that you can put plenty of your favorite ingredient in there. When you buy mixes like this, the most expensive ingredient is usually used the least. That is usually my favorite ingredient in the mix! 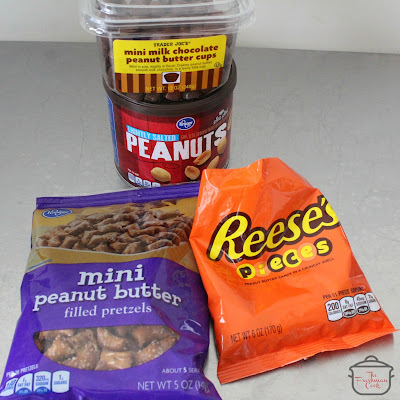 My favorite from this mix is the mini peanut butter cups, so I can use as much as I want by making it myself! No matter how you serve this Chocolate Peanut Butter Pretzel Game Mix, you and your guests will love and enjoy this less expensive, but very tasty mix. Thanks for stopping by today, and let me know if you make this and what you think!